Surely, this commandment that I am commanding you today is not too hard for you, nor is it too far away. It is not in heaven, that you should say, "Who will go up to heaven for us, and get it for us so that we may hear it and observe it?" Neither is it beyond the sea, that you should say, "Who will cross to the other side of the sea for us, and get it for us so that we may hear it and observe it?" No, the word is very near to you; it is in your mouth and in your heart for you to observe. See, I have set before you today life and prosperity, death and adversity. 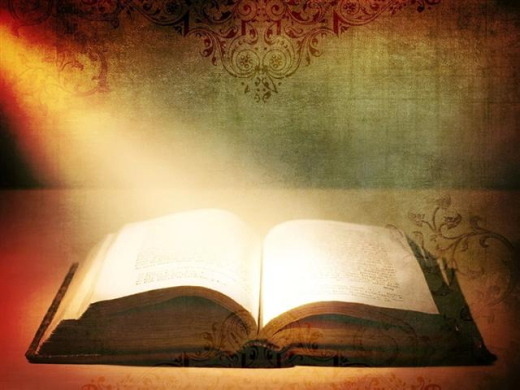 If you obey the commandments of the LORD your God that I am commanding you today, by loving the LORD your God, walking in his ways, and observing his commandments, decrees, and ordinances, then you shall live and become numerous, and the LORD your God will bless you in the land that you are entering to possess. But if your heart turns away and you do not hear, but are led astray to bow down to other gods and serve them, I declare to you today that you shall perish; you shall not live long in the land that you are crossing the Jordan to enter and possess. I call heaven and earth to witness against you today that I have set before you life and death, blessings and curses. Choose life so that you and your descendants may live, loving the LORD your God, obeying him, and holding fast to him; for that means life to you and length of days, so that you may live in the land that the LORD swore to give to your ancestors, to Abraham, to Isaac, and to Jacob. I wish you would bear with me in a little foolishness. Do bear with me! I feel a divine jealousy for you, for I promised you in marriage to one husband, to present you as a chaste virgin to Christ. But I am afraid that as the serpent deceived Eve by its cunning, your thoughts will be led astray from a sincere and pure devotion to Christ. For if someone comes and proclaims another Jesus than the one we proclaimed, or if you receive a different spirit from the one you received, or a different gospel from the one you accepted, you submit to it readily enough. I think that I am not in the least inferior to these super-apostles. I may be untrained in speech, but not in knowledge; certainly in every way and in all things we have made this evident to you. Did I commit a sin by humbling myself so that you might be exalted, because I proclaimed God's good news to you free of charge? I robbed other churches by accepting support from them in order to serve you. And when I was with you and was in need, I did not burden anyone, for my needs were supplied by the friends who came from Macedonia. So I refrained and will continue to refrain from burdening you in any way. As the truth of Christ is in me, this boast of mine will not be silenced in the regions of Achaia. And why? Because I do not love you? God knows I do! And what I do I will also continue to do, in order to deny an opportunity to those who want an opportunity to be recognized as our equals in what they boast about. For such boasters are false apostles, deceitful workers, disguising themselves as apostles of Christ. And no wonder! Even Satan disguises himself as an angel of light. So it is not strange if his ministers also disguise themselves as ministers of righteousness. Their end will match their deeds. I repeat, let no one think that I am a fool; but if you do, then accept me as a fool, so that I too may boast a little. What I am saying in regard to this boastful confidence, I am saying not with the Lord's authority, but as a fool; since many boast according to human standards, I will also boast. For you gladly put up with fools, being wise yourselves! For you put up with it when someone makes slaves of you, or preys upon you, or takes advantage of you, or puts on airs, or gives you a slap in the face. To my shame, I must say, we were too weak for that! But whatever anyone dares to boast of-- I am speaking as a fool-- I also dare to boast of that. He entered Jericho and was passing through it. A man was there named Zacchaeus; he was a chief tax collector and was rich. He was trying to see who Jesus was, but on account of the crowd he could not, because he was short in stature. So he ran ahead and climbed a sycamore tree to see him, because he was going to pass that way. When Jesus came to the place, he looked up and said to him, "Zacchaeus, hurry and come down; for I must stay at your house today." So he hurried down and was happy to welcome him. All who saw it began to grumble and said, "He has gone to be the guest of one who is a sinner." 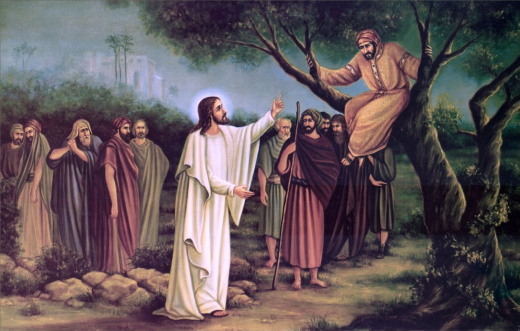 Zacchaeus stood there and said to the Lord, "Look, half of my possessions, Lord, I will give to the poor; and if I have defrauded anyone of anything, I will pay back four times as much." Then Jesus said to him, "Today salvation has come to this house, because he too is a son of Abraham. For the Son of Man came to seek out and to save the lost." 1 Hear my cry, O God, and listen to my prayer. 2 I call upon you from the ends of the earth with heaviness in my heart; set me upon the rock that is higher than I. 3 For you have been my refuge, a strong tower against the enemy. 4 I will dwell in your house for ever; I will take refuge under the cover of your wings. 5 For you, O God, have heard my vows; you have granted me the heritage of those who fear your Name. 6 Add length of days to the king's life; let his years extend over many generations. 7 Let him sit enthroned before God for ever; bid love and faithfulness watch over him. 8 So will I always sing the praise of your Name, and day by day I will fulfill my vows. 1 For God alone my soul in silence waits; from him comes my salvation. 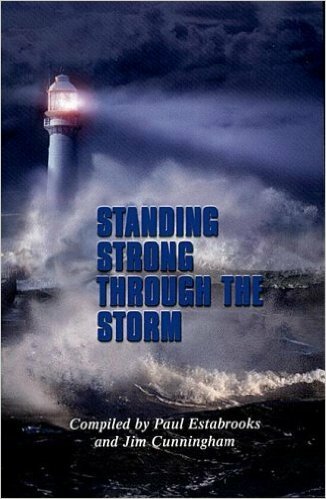 2 He alone is my rock and my salvation, my stronghold, so that I shall not be greatly shaken. 3 How long will you assail me to crush me, all of you together, as if you were a leaning fence, a toppling wall? 4 They seek only to bring me down from my place of honor; lies are their chief delight. 5 They bless with their lips, but in their hearts they curse. 6 For God alone my soul in silence waits; truly, my hope is in him. 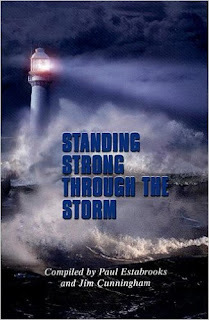 7 He alone is my rock and my salvation, my stronghold, so that I shall not be shaken. 8 In God is my safety and my honor; God is my strong rock and my refuge. 9 Put your trust in him always, O people, pour out your hearts before him, for God is our refuge. 10 Those of high degree are but a fleeting breath, even those of low estate cannot be trusted. 11 On the scales they are lighter than a breath, all of them together. 12 Put no trust in extortion; in robbery take no empty pride; though wealth increase, set not your heart upon it. 13 God has spoken once, twice have I heard it, that power belongs to God. 14 Steadfast love is yours, O Lord, for you repay everyone according to his deeds. 21 God shall crush the heads of his enemies, and the hairy scalp of those who go on still in their wickedness. 23 That your foot may be dipped in blood, the tongues of your dogs in the blood of your enemies." 24 They see your procession, O God, your procession into the sanctuary, my God and my King. 25 The singers go before, musicians follow after, in the midst of maidens playing upon the hand-drums. 26 Bless God in the congregation; bless the LORD, you that are of the fountain of Israel. 27 There is Benjamin, least of the tribes, at the head; the princes of Judah in a company; and the princes of Zebulon and Naphtali. 28 Send forth your strength, O God; establish, O God, what you have wrought for us. 29 Kings shall bring gifts to you, for your temple's sake at Jerusalem. 30 Rebuke the wild beast of the reeds, and the peoples, a herd of wild bulls with its calves. 31 Trample down those who lust after silver; scatter the peoples that delight in war. 32 Let tribute be brought out of Egypt; let Ethiopia stretch out her hands to God. Are those I cannot see. And the storms You calmed in me. I'd rather be led by his nail pierced hands. O Lord, remember not only the men and women of good will, but also those of ill will. But do not remember all the suffering they have inflicted on us; remember the fruits we have bought, thanks to this suffering — our comradeship, our loyalty our humility, our courage, our generosity, the greatness of heart which has grown out of all this, and when they come to judgment, let all the fruits which we have borne be their forgiveness. paper pinned to the body of a child. This prayer, which we sometimes use in the Daily Devotion, had a profound impact on me when I first read it. It pretty much did me in for a good five or ten minutes. Even now, I have to try not to cry when I read it. 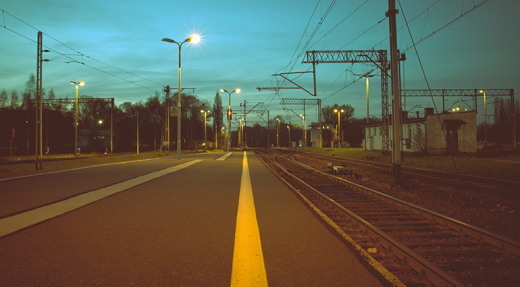 Once we begin to take forgiveness seriously, when we work on forgiving others towards whom we feel any anger or shame, we come to the point where we realize that it doesn't matter whether they have apologized, changed their ways, or showed the slightest indication that they know they did something wrong and regret it. It is irrelevant. When you read about the crucifixion of Christ, or the martyrdom of Steven (in Acts 6 and 7), one thing they have in common is that they prayed to God to forgive their murderers while the murder was occurring. Christ said, famously, “Father, forgive them, for they know not what they do.” (Luke 23:24) Stephen — who took the duty to follow Christ's example to the utmost — said “Lord, do not hold this sin against them,” at the moment he died. (Acts 7:60). But this prayer from Ravensbruck, a killing camp for Jews and Polish Christians, adds a wonderful dimension, both to the act of forgiving others and to the repeated entreaties in the Epistles to take joy in our suffering. Suffering can be utterly negative; or it can have a very positive dimension, especially when we suffer (in part or whole) for our faith. Our suffering, in patience and forgiveness, is the most eloquent testimony we can give as to the strength of our faith. To live a good life, including enjoyment, productivity, and laughter, as well as patience and obedience during tribulation, is a way to forgive those who injured us. It shows that the injury was less powerful than Christ. And if you doubt it, answer this question: Which was more powerful, the Nazi killing machine that snuffed out that child's life, or the Spirit of God, which wrote down that prayer? El temor del Señor es el principio del conocimiento; los necios desprecian la sabiduría y la disciplina. Este devocional es, en realidad, la segunda parte del que tuvimos ayer. En esa ocasión hablamos de ser personas de una sola palabra y de dar testimonio también con nuestras decisiones. Aprendimos que el tener palabra nos libra de muchos malos ratos y de muchas situaciones comprometedoras. Con el «no» sucede lo mismo que con el «sí». Cuando se dice «no» a tiempo, te puedes librar de un gran pecado o de una mala decisión de verte expuesto a momentos de los que quizá te arrepientas toda la vida. Claro, también con decir «no» se puede ser contraproducente en otras circunstancias de la vida. Por ejemplo, negar a Dios, negar que eres cristiano porque te avergüenzas ante la gente que no le conoces o por orgullo permanecer negados a cambios. Hoy queremos pedirte, Dios mío, que nos muestres con claridad cuándo nuestra falta de palabra ha involucrado a otras personas y quizá no hemos dado el mejor testimonio. Te pedimos que nos guíes y nos permitas ser hombres y mujeres con el carácter de tu Hijo Jesucristo y no vivir por lo que piensen los demás, sino por la convicción de agradarte y honrarte. Rev. Dr. David Cho who pastors the largest church in the world—a cell group based church—is also very strong on the significance of prayer. As a pastor of a growing Korean church, he felt he could not pray less than five hours a day. He distinguishes between the type of prayer we usually think of—fellowship prayer—and what he calls “task” prayer. Both are important forms of prayer but task prayer is terrific labor and takes much energy. It is closest to intercessory prayer and is usually very focused prayer about an intense need. They prayed with tears running down from their eyes, and the stream of tears intermingled with their ‘noserun,’ dripping down like transparent noodles, which they ignored. For their hearts were so turned to the face of Christ that they became totally oblivious of their own unkempt state. One sister prayed for over 45 minutes standing, pleading with the Lord to release her fellow-evangelist and her fiancé from prison. He had fasted for many days and refused to divulge any information on the churches’ evangelistic activity. RESPONSE: When I have an intense need, I will practice task prayer. PRAYER: Lord, help me to have the faith, persistence and emotion of Elijah when I pray. 1. Ross Paterson, Heart Cry For China (Chichester, UK: Sovereign World, 1989), p.190. It was shockingly early when the alarm clock invaded my dreams, screaming at me to wake up that morning. Even the sun was still sleeping as I rose. With heavy eyelids and a groggy mind, I crawled out from beneath the cuddly warmth of my bed and ventured downstairs. The kids had set their alarm clocks as well. We trickled down, one sleepy Smith at a time, and met in our jammies for the big event. It was April 29, 2011. Prince William and Catherine Middleton were about to be married and we were giddy-excited to watch it live from the cozy comfort of our living room couch. It was worth the early wake-up just to see the hats that the women wore. They were so elaborate! Some were even a bit crazy. As the wedding guests filed into the church, the kids and I chatted non-stop about the dresses the women wore, the celestial music that sang throughout the cathedral, and the ornate beauty of Westminster Abbey. As Kate made her way down the aisle, my eyes leaked joy. There’s just something special about a bride’s walk down the aisle that messes with my makeup. The ceremony was magic. 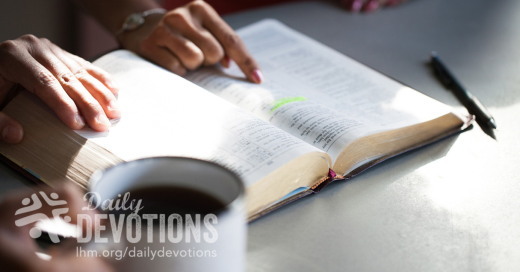 Brimming with Scripture and promise. Meaningful vows were exchanged and before we knew it, the bride and groom were married. Regal smiles lit up our living room as the Duke and Duchess of Cambridge emerged as husband and wife and made their way to Buckingham Palace for the royal reception hosted by Her Majesty the Queen. They waved jubilantly to the tens of thousands of well wishers along the road as the world celebrated with them. Our culture has such a fascination with royalty! We love the regal bells and whistles with all of the fairytale happenings. Yet, for all the fanfare that royal families bring to society, many reigning monarchs have very little political power. Most earthly kings and queens don’t establish laws or truly rule the people as royalty once did. Even still, these families do influence the world around them. God is not like our earthly kings. He is a King with power. He is the King of kings! Supreme in authority, He rules from a heavenly throne that is illuminated by His glory. When we recognize Him as King of kings, God is positioned in our hearts as the supreme ruler… as the absolute authority… as the powerful leader that we are all desperate for. His reign is eternal and supreme – yet His reign is intimately personal. Please don’t think I’m going all church on you here. This isn’t fluffy Christianese about a distant, non-feeling ruler who pats us on the head and graciously allows us to be His humble servants. It is a flesh and blood testimony about a loving God from a woman who knows what it’s like to be tangled in the knots of sin and shame. From a woman knows the freedom of forgiveness – a woman who delights to revere her all-compassionate King of mercy. I’m not who I was because my Savior, the King of kings, wore a thorny crown and took on my shame. Now that’s power, friend! A powerful King, like no other. We can confidently approach His throne of grace because of the finished work done by Jesus Christ. (Hebrews 4:16) You bet this is personal and you better believe He is powerful. Are you experiencing the power of the King of kings in your life? Do you know the freedom of forgiveness? Though it can be fun to watch the royal families among us, they are powerless to save you. God loved you so much that he made a way for you to have a fresh start in life through Jesus. A fresh start, a clean heart, and a royal inheritance. That, my friend, should make us all leak with joy. Holy God, King of kings, You are more glorious and powerful than I can possibly imagine! Thank you for crowning me with grace through Jesus Christ. Thank you that grace is enough. All glory and honor be to You, Lord! Read 1 Peter 2:9, ESV: But you are a chosen race, a royal priesthood, a holy nation, a people for his own possession, that you may proclaim the excellencies of him who called you out of darkness into his marvelous light. If you are a Christian, who does this verse say you are? Do you live like that’s who you are? Should you? What does the verse say you are supposed to do because of who you are? Today’s GiG devotion is adapted from Knowing God by Name by Sharon Jaynes, Gwen Smith, & Mary Southerland by permission of Multnomah, division of Random House, Inc.
TWO DAY GIVEAWAY: Get a FREE copy of Gwen’s Uncluttered CD when you purchase the Girlfriends in God book, Knowing God by Name today or tomorrow. ONLY from the store at GwenSmith.net. LHM Daily Devotion - June 13, 2017 "The One and Only"
Most people think that I write a devotion and then, the next day, they read that devotion. They would be surprised to find there are numerous individuals between the writing and the reading. There are the folks who translate the devotion and those who prepare it for its appearance on the web and in your e-mail. There are those who make large-print editions and put it into Braille. And then, of course, we have two folks who are mediators between you and me. One is the doctrinal reviewer who makes sure I'm not sharing any heresies, and the other is a fellow who proofs and fact checks every devotion. "Manchester citizens flocked to blood donation centers to help attack victims." That's a very strange sentence. If you read it with a wrong emphasis on the word "attack," it can be confusing and downright wrong. "Manchester citizens flocked to blood donation centers to help the attack victims." The mediator's addition of that three-letter word fixed everything. No longer would anybody believe the people of Manchester were tracking down and abusing those poor unfortunates who had already survived one cataclysmic event. In other words, the mediator did what he was supposed to do: he fixed a bad situation. Two-thousand years ago, Jesus of Nazareth, the Mediator between God and man, did the same thing: He fixed a disastrous -- a damning situation. By taking our place under the Law, Jesus lived a perfect life and resisted every temptation, which was thrown at Him. Then when His work on earth was drawing to a close, He carried our sins to the cross and, when He died our death, He also destroyed sin's curse for all who would be brought to faith in Him as their Savior and Lord. His third-day resurrection from the dead is proof positive of Jesus' success. He has done what no other individual could do: He fixed an impossible situation and rescued us. Which is why St. Paul could confidently write to Timothy, "There is one God, and there is one mediator between God and men, the man Christ Jesus. Thank the Lord for that One. Trabajen, pero no por la comida que perece, sino por la comida que permanece para vida eterna, la cual el Hijo del Hombre les dará; porque a éste señaló Dios el Padre. Es sábado, y estoy listo para hacer una barbacoa. Puedo verlo: Un filete gigante, patatas asadas, guisantes, té helado con una rodaja de limón, y una tarta de manzana con helado de vainilla. Suena bien, y va a saber aún mejor. Pero imagine esta comida de otra forma. Tome el filete, los guisantes, las patatas y la tarta de manzanas, y póngalo todo junto con el té helado en una procesadora. Ponga la procesadora en marcha durante unos minutos, y después caliente la mezcla en una sartén. Ambas comidas son igualmente nutritivas, pero difícilmente apetecibles de la misma forma. Ahora tomemos esa misma idea, y apliquémosla a los servicios de adoración. Es sábado, y no puedo esperar a ir a la iglesia mañana. Estoy deseando llegar y sentarme en la casa del Señor. Puedo ver a la gente vestida con sus mejores ropas en honor al amor de nuestro Señor demostrado en su sacrificio y victoria para nuestra salvación. Escucho los primeros acordes de los himnos y canciones que elevan mi espíritu, y luego la voz conocida y de mi pastor predicando acerca de mi Salvador. Esa es la forma de ir a la iglesia -prontos para saborear el regalo del amor de Dios. Pero también hay otras formas de ir a la iglesia. Toda la experiencia se puede resumir en la sola idea de entrar y salir lo más rápido posible sin tener contacto con nadie, sin alabar a Dios, sin comprometernos con quienes nos rodean, sin cantar, sin orar. Lo que Dios da es lo mismo, pero... bueno, se puede imaginar el resto. But natural explanations are not final answers. Clouds float because God in His wisdom has ordered the natural laws in such a way that they reveal the “wonders of him who has perfect knowledge” (Job 37:16). 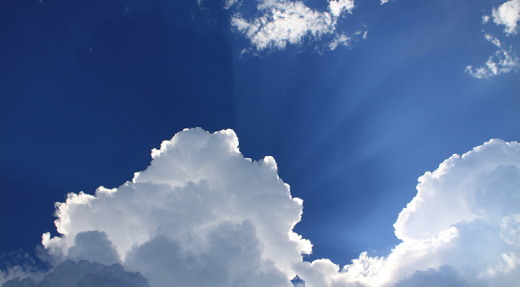 Clouds then can be thought of as a symbol—an outward and visible sign of God’s goodness and grace in creation. So someday when you’re taking some time to see what images you can imagine in the clouds, remember this: The One who made all things beautiful makes the clouds float through the air. He does so to call us to wonder and adoration. The heavens—even the cumulus, stratus, and cirrus clouds—declare the glory of God. We are amazed at You, wonderful Creator, as we look at Your world. You deserve all the praise our hearts can give and so much more! Creation is filled with signs that point to the Creator. “Por que plantar flores, se não é possível comê-las?”, disse meu sogro ao me ver enchendo os potes com tesouros cheios de fragrância, comprados na floricultura. Ele é engenheiro — uma pessoa prática, que consegue fazer qualquer coisa funcionar, mas fazer algo ficar bonito não é sua prioridade. Deus nos criou com dons diferentes. Os engenheiros que trabalham para a glória de Deus projetam máquinas que facilitam a vida. O Senhor também criou artistas, que tornam a vida mais agradável, com espetáculos bonitos para a glória de Deus e prazer dos outros. Ao pensarmos em arte na adoração, normalmente pensamos em música e louvor. Mas há muito tempo outras formas têm o papel importante na exaltação a Deus. O chamado de Bezalel demonstra a consideração de Deus pelas belas-artes (Êxodo 35:30-35). Deus o incumbiu de embelezar o primeiro lugar oficial de adoração: o tabernáculo. O propósito divino para as artes, diz o autor e professor de literatura, Gene Edward Veith, é “glorificar a Deus e manifestar a beleza”. Quando vivificado pelo Espírito de Deus, o talento artístico torna-se um ato de adoração que pode levar pessoas a Cristo. Deus enriqueceu grandemente as nossas vidas com beleza. E nós, por nossa vez, expressamos nossa gratidão, apresentando a Sua glória por meio de nossa arte. Faça todas as coisas para a glória de Deus. Tôi đã tìm ra câu trả lời là do hơi nước ngưng tụ, rơi xuống mặt đất do trọng lực, rồi gặp nhiệt độ ấm hơn bốc lên từ mặt đất. Nó lại chuyển thành hơi và bốc lên không trung. Đó là lời giải thích cho hiện tượng tự nhiên này. Nhưng những lời giải thích đó chưa phải là đáp án cuối cùng. Mây trôi bởi vì Chúa đầy sự khôn ngoan đã sắp đặt các quy luật tự nhiên để chúng bày tỏ “một kỳ công của Đấng Toàn Tri” (Gióp 37:16). Vậy, mây có thể được xem là một biểu tượng—một dấu hiệu bên ngoài bày tỏ sự nhân từ và ân điển của Chúa trong sự sáng tạo. Vậy thì, khi ngắm và tưởng tượng những hình thù của những đám mây, hãy nhớ điều này: Đấng dựng nên mọi thứ tốt đẹp đã khiến những đám mây trôi trên không trung. Ngài làm vậy để khiến chúng ta kinh ngạc và tôn thờ Ngài. Các từng trời—ngay cả mây tích, mây tầng và mây ti—cũng rao sự vinh hiển của Chúa. Lạy Đấng Tạo Hóa vĩ đại, chúng con vô cùng kinh ngạc khi nhìn xem thế giới mà Ngài tạo dựng. Ngài xứng đáng nhận được sự ca ngợi từ lòng chúng con và nhiều hơn thế nữa! Cõi tạo vật đầy những dấu hiệu cho thấy có một Đấng Tạo Hóa. ¿Has conocido tú las diferencias de las nubes…? (v. 16). Un día, hace muchos años, mis hijos y yo estábamos acostados en el patio, mirando cómo pasaban las nubes. «Papá —me preguntó uno—, ¿por qué flotan las nubes?». «Bueno, hijo —empecé, con la intención de brindarle mi vasto conocimiento, pero después, me quedé en silencio—. La verdad que no lo sé— admití—, pero lo averiguaré». Descubrí que la respuesta es que la humedad condensada, que desciende por gravedad, se encuentra con temperaturas más cálidas que se elevan desde la tierra. Esa humedad se vaporiza y asciende al aire. Sin embargo, esta clase de explicaciones no son respuestas finales. Las nubes flotan porque Dios, en su sabiduría, ordenó las leyes naturales de tal manera que revelen «las maravillas del Perfecto en sabiduría» (Job 37:16). Entonces, se puede pensar en que las nubes son un símbolo: una señal externa y visible de la bondad y la gracia de Dios en la creación. Así que, algún día, mientras observes las distintas formas de las nubes, recuerda lo siguiente: Aquel que creó todo hermoso hace que las nubes floten por el aire. Lo hace para que podamos maravillarnos y adorar. Los cielos —incluso los cúmulos, los estratos y los cirros— declaran la gloria de Dios. Maravilloso Creador, nos asombra mirar tu mundo. ¡Mereces toda la alabanza que nuestro corazón pueda darte, y mucho más! Toda la creación señala al Creador. Die Antwort ist, so stellte ich fest, dass kondensierte Feuchtigkeit, die durch die Schwerkraft nach unten drängt, auf wärmere Temperaturen trifft, die vom Land nach oben steigen. Die Feuchtigkeit verwandelt sich dabei in Dunst und steigt wieder in die Luft auf. Das ist die natürliche Erklärung für das Phänomen. Natürliche Erklärungen sind aber noch keine letzten Antworten. Wolken schweben, weil Gott in seiner Weisheit die Naturgesetze so geschaffen hat, dass sie „die Wunder des Allwissenden“ offenbaren (Hiob 37,16). Man kann die Wolken als Symbol betrachten—ein äußeres, sichtbares Zeichen von Gottes Güte und Gnade in der Schöpfung. Wenn du also einmal Zeit hast, um zum Himmel zu schauen und herauszufinden, welche Bilder du in den Wolken entdecken kannst, dann denk daran: der Eine, der alles so schön geschaffen hat, sorgt auch dafür, dass die Wolken am Himmel schweben. Er tut es, damit wir staunen und ihn anbeten. Die Himmel—und alle Kumulus—, Stratus—und Zirruswolken—erzählen die Ehre Gottes. Wir können nur staunen, herrlicher Schöpfer, wenn wir deine Welt betrachten. Du hast alles Lob verdient, das in unseren Herzen ist, und noch viel mehr! Die Schöpfung ist voll von Zeichen, die auf den Schöpfer verweisen. Comme je l’ai découvert, c’est que l’humidité condensée, qui perd de l’altitude à cause de la gravité, rencontre les températures plus chaudes qui montent du sol. Cette humidité se change alors en vapeur et remonte dans les airs. Il s’agit ici de l’explication naturelle de ce phénomène. Cependant, les explications naturelles ne sont pas les réponses finales. Les nuages flottent parce que, dans sa sagesse, Dieu a établi les lois naturelles de façon à ce qu’elles nous révèlent « les merveilles de celui dont la science est parfaite » (JOB 37.16). On peut donc considérer les nuages comme un symbole – un signe extérieur et visible de la bonté et de la grâce que Dieu manifeste dans la création. Ainsi, la prochaine fois que vous prendrez le temps d’imaginer ce qui se dégage des nuages, rappelez‑vous ceci : Celui qui a fait toute chose belle fait flotter les nuages dans les airs. Il le fait pour nous appeler à nous émerveiller et à l’adorer. Les cieux – même les cumulus, les stratus et les cirrus – déclarent la gloire de Dieu. La création abonde en signes pointant vers le Créateur. Одного дня багато років тому ми з синами лежали на траві, милуючись хмарами, що пропливали на небі. “Тату, а чому хмари пливуть?” – запитав один із синів. “Ну, розумієш, сину”, – почав відповідати я, радіючи можливості блиснути своїми великими пізнаннями. Аж раптом замовк. “Не знаю, – зізнався я. – Але я взнаю для тебе”. І я довідався, що коли конденсована волога рухається вниз під дією гравітаційної сили, вона стикається з теплими повітряними масами, що рухаються вгору від землі. Тоді ця волога випаровується і знову повертається вгору. Так вчені зазвичай пояснюють цей феномен. Проте наукові пояснення не дають вичерпної відповіді. Хмари пливуть тому, що Бог у Своїй мудрості встановив природні закони. І зробив це таким чином, що вони являють “чуда Того, Який має безвадне знання” (Йов. 37:16). В такому разі хмари можна сприймати як символ, як видимий знак, що вказує на Божу ласку в творінні. Отже, якщо колись у вас буде хвилинка подивитися на хмари й подумати, які образи вимальовуються в їхніх контурах, згадайте, що Той, Хто створив усе прекрасним, вчинив так, щоб ці хмари пливли на небі. І Він зробив це для того, щоб викликати в нас почуття благоговіння й поклоніння. “Небо звіщає про Божую славу” за будь-яких хмар – купчастих, шаруватих і перистих. Господи, ми сповняємося святим подивом, коли розглядаємо Твоє творіння. Ти заслуговуєш на всю хвалу, що наші серця спроможні принести Тобі! Творіння сповнене знаків, що вказують на Творця. Однажды много лет назад мы с моими мальчиками лежали на траве и смотрели, как по небу проплывают облака. «Папа, – сказал один из них, – почему облака летают?» – «Ну, сынок… – начал я, собираясь открыть бездонные глубины своих познаний, и запнулся. – Честно говоря, не знаю. Но обязательно выясню для тебя». Ответ, как я узнал, заключается в том, что конденсирующаяся в небе влага стремится осесть на землю, однако встречает на пути теплый воздух, поднимающийся вверх. Она снова превращается в пар и возносится в небо. Таково естественное объяснение этого явления. Но это не окончательный ответ. Облака летают, потому что Бог в Своей мудрости установил законы природы так, что они открывают «чудное дело Совершеннейшего в знании» (Иов 37:16). Облака можно рассматривать как образ – явное и видимое проявление Божьей благости и милости в творении. Поэтому, если вы когда-нибудь будете рассматривать причудливые картины, образуемые облаками, вспомните о Том, Кто все соделал прекрасным, чтобы пробудить в нас удивление и благоговение. Небеса вместе с летящими по ним кучевыми, слоистыми и перистыми облаками проповедуют славу Божию! Мы восхищаемся Тобой, дивный Создатель, когда смотрим на Твой мир. Ты достоин всей хвалы, на которую мы способны. Творение полно знаков, указывающих на Создателя.